Welcome to this week’s Denver Beer Beat. In true fashion, we have a handful of fun events we think you may enjoy. 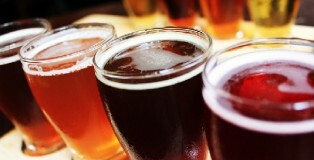 So enjoy this weather and pull some brewskies on the patio-scene. For’real. Hey there PorchDrinkers! Native to the city and looking for events to tide you over for the week? New to the city and looking for the best place to find tasty suds? Visiting and looking for events to hit while you are in town? Check out this week’s Denver Beer Beat . . . did we miss any events in this week’s? Let us know. Sours, porters, ladies clubs, gluten free, beer releases, beer vs wine pairings, tap takeovers, anniversaries, chocolate, stout month, girl scout cookies . 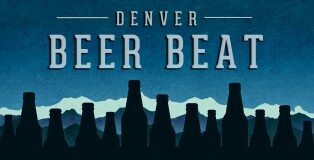 . . did we miss any events in this week’s Denver Beer Beat? Let us know. Welcome to this week’s Denver Beer Beat. Lots of bottle release events, a few tap takeovers, new beers on tap, and the winter brew fest. Did we miss anything? Let us know. Hopefully your valedictory toast to the end of 2013 was most excellent, dudes and dudettes. With breweries coming back into the full swing of production and pouring delicious barley pops for all you malt junkies and hop heads, we are mad stoked to provide you with the Denver happenings for the week. Welcome to this week’s Denver Beer Beat. Did we miss an event; let us know. Well, welcome to the end of 2013. I am not even going to mention your inevitable hangover; you are already well aware of that being part of your day tomorrow. Here are some events to check out this week. Let’s raise our barleypops to 2013, the year to come and may eternity find us in as good company as this! Each week we will be bringing you regional coverage of your favorite beer events happening in your area. Welcome to the Denver Beer Beat. Did we miss something? Let us know! Each week we will be bringing you regional coverage of your favorite beer events happening in your area. Did we miss something? Let us know!